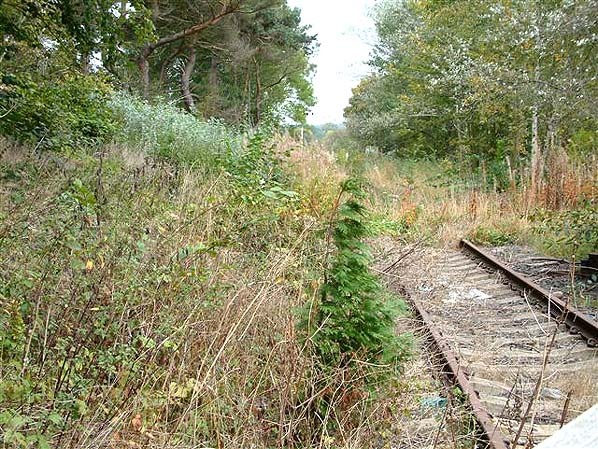 Present state: There is no trace of the buildings or platform;the site being completely cleared in April 1973. The crossing box with an external ground frame is still extant (an usable) and the cattle and horse dock on the opposite side of the crossing is also extant. The station building from the first Witton-le-Wear Station is still extant alongside the track as a private residence. Notes: The original station, which contains a Stockton & Darlington Railway ceramic plaque, still exists today as a private residence. It was located 20 chains west; Because of its location on a curve and incline, it was found difficult to start passenger trains from here and therefore a new station was built to the east. In the 1930s this was the home of the LNER District Engineer, whose offices were in Bishop Auckland. 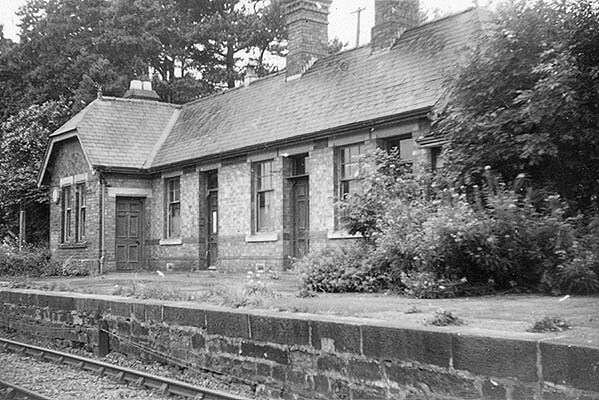 The old station was close to the old A68 trunk road that runs through the village. 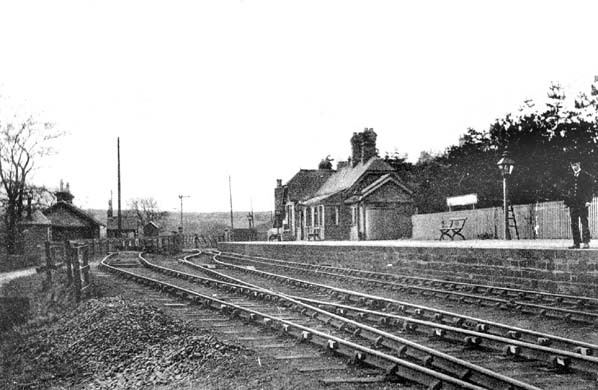 The new station was built adjacent to the road connecting the village to Wear Valley Junction. Its accommodation consisted of General Waiting room, Booking Office, Gents Waiting room, Ladies Waiting room, WC and urinals. It closed to passengers along with all of the other stations on the branch on 27th June 1953. Goods traffic would continue to be dealt with until 1st November 1965. To the west of the station there is a level crossing, which is controlled from an adjacent ground frame and still in use today (when trains run). Opposite the station were coal drops and a wooden single road goods shed. The working of these sidings is unclear. Beyond the station and to the west across the level crossing was another siding which included a cattle and horse dock. Frosterley & Stanhope Railway, mainly to reach the Newlandside Estate on the south side of the town where large quantities of limestone were known to exist.